Born in Indianapolis, Madelyn Pugh, edited the Shortridge High School paper and graduated from Indiana University with a journalism degree. Her first writing job was at WIRE, Indianapolis, before moving to Los Angeles in 1943 and soon working for NBC and then CBS. 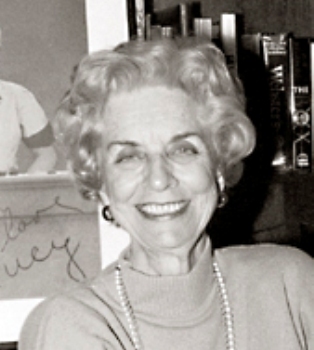 By 1951 her script writing had evolved into “I Love Lucy.” Working with Bob Carroll, Jr., they wrote 179 episodes of the top-rated CBS comedy show. The pair also produced other shows, including 92 episodes of the sitcom “Alice.” Pugh’s second husband was Richard Davis, a Marion, Indiana, physician. She died at her Bel Air, California, home April 20, 2011.